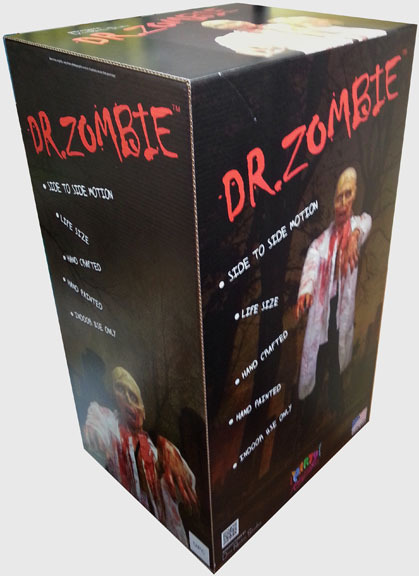 Dr Zombie Animated Prop - Dino Rentos Studios, INC.
Be the DEATH of any party with this Dr Zombie Animated Prop! 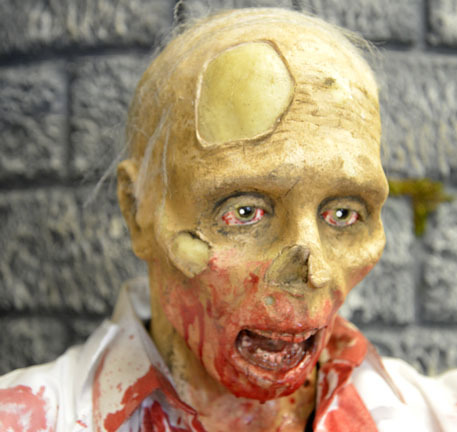 Dr. Zombie stands approximately 6' tall (70") and rises back to life with side to side undead movement. Guaranteed to scare trick or treaters, partygoers or family members down to their core! 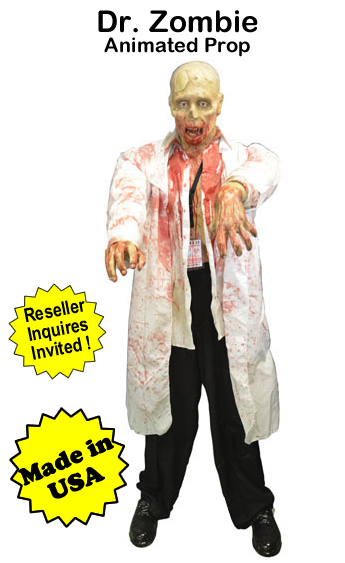 Perfect for any Halloween, Zombie or eery Halloween event! 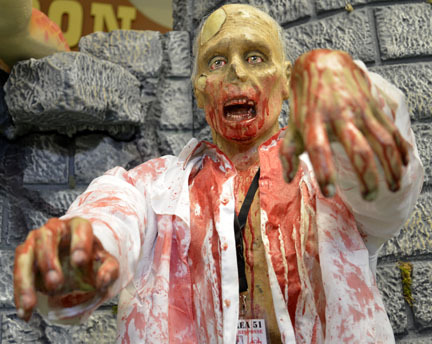 Dr. Zombie comes dressed in a blood soaked attire, lab coat and laniard. He is hand crafted and painted, and recommended for indoor use only. Retail packaging ready for placement with UPC. PLEASE CONTACT US FOR SHIPPING ESTIMATE!